Do you need help recovering from injury or are looking to enhance your sports performance? 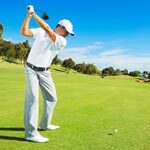 Do you have postural problems or perhaps you are looking to improve your golf fitness? Whatever your need, a full sports therapy treatment programme together with my holistic approach will help get the most out of your body. My aim is to treat every patient as an individual, I’ll take time to understand how you live your life and what your physical requirements are in order to provide the best treatment and rehabilitation plan. Often people come to see me with a specific problem but the issue may be originating else-where in the body, which can restrict you from doing many of the things you do day-to-day or taking part in sports. Find out more about about the range of treatments I offer below. 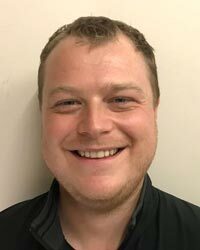 My name is Michael Hickmott, since graduating in 2009 with a BSc (Hons) degree in Sports Therapy from the University of Birmingham, I have been working in private injury clinics treating a wide range of injuries; both sporting and non-sporting. I firmly believe whether you participate in exercise or not you can benefit from regular sports therapy treatments. I am highly experienced in the diagnosis, treatment and rehabilitation of injuries, as well as varying manual and alternative therapies, including sports and remedial massage, stretching and rehabilitation programmes. Myofascial cupping, acupuncture/dry needling, electrotherapies and gait analysis/custom orthotics. I have treated sportsmen and women from varying sports and dealt with athletes at every level; from complete beginners and weekend enthusiasts, all the way up to top level professionals. Having played a number of sports, I understand that each one has its own challenges. Therefore, I adapt all my sessions to suit the individual. By spending time with the Titleist Performance Institute and being a keen golfer, I have been able to use my golfing and anatomical/biomechanical knowledge to help other golfers get the most from their sport. A guide to my fees for standard treatments. Please contact me for further information on Treatment Plans and Alternative Therapies. If you would like to make an appointment, find out more about my services, please don’t hesitate to contact me or leave me a message. I may be with a client but I’ll get right back to you just as soon as I’m free.